The Fisher & Paykel ICON Auto CPAP Machine is a very efficient machine for those with sleep apnea or respiratory issues. This CPAP machine has a built-in humidifier and a ThermoSmart heated hose. It provides amazing comfort for all users and is truly a treatment system for individual CPAP machine users. This model?is an improvement to many earlier forms of this brand of CPAP machines. 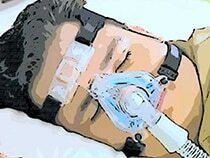 If you are new to sleep apnea and CPAP machines, I have some great articles and resources for you to check out. Make sure to check out my article on the best CPAP machines, BiPAP machines as well as the differences between the two so that you can pick the best option! I found the cheapest place to buy it too! Click below and?use this limited time discount code: “ABC10” in the “Shopping Cart” page for 10% off your total order?no matter what you end up buying! You will not find a better price. Don’t believe me? See for yourself! You even get free shipping to anywhere in the US and great customer service! Buy it Here with the Discount Code! This CPAP Machine has an efficient size of 6.3 x 6.7 x 8.7 in (160 x 170 x 220 mm). While the size is efficient, many users aren?t satisfied with the weight of this machine which is 4.8 pounds and is packaged at 8.7 pounds. While this is not the heaviest CPAP machine out there, the weight could be a bit lighter to provide complete customer satisfaction in this category. This model is very easy to use and the guide provides an easy to read format for all users. The manuals provide detailed instructions on how to manage the entire machine down to turning it on and up to reading the data stored on the SD card. The specifications of this CPAP Machine provide a great user experience for individuals with sleep apnea. 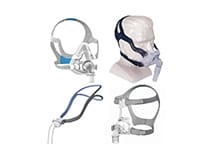 These specifications aren?t available on all machines needed for sleep apnea. 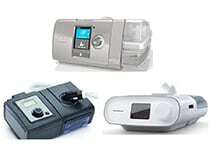 Each one of these features allows this model?to be among one of the top CPAP machines rated by users. Not only are these features many but they are the best as well. This model has many great specifications and features. There are not many complaints about this machine except that it may empty too fast and it may weigh more than some other CPAP machines. Generally speaking this CPAP machine is very convenient for those who have sleep apnea or respiratory issues in which require a machine for breathing safely. Overall I think that this machine is a great CPAP machine, but there are a lot of?others that can compete. 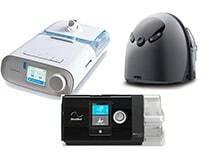 My top two favorite CPAP machines right now are the DreamStation and the ResMed Airsense 10. 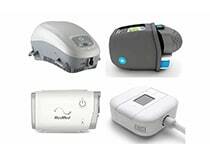 Both of these are on the list of?the best CPAP machines. No matter which CPAP machine you decide to go with, make sure to pick up a machine cleaner like this one so that you can save yourself a messy headache in the future. 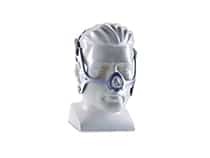 If you are curious about CPAP masks, check out my articles on my favorite masks, great masks for side sleepers as well as some of the most comfortable masks on the market today. I hope this article was helpful for you overall. Sleep wonderfully!